Ever think that perhaps you need professional help? I do. I’m a few months behind on Dyson’s Dodecahedron, and instead of working on it, I put together a “small” entry for the Fat Frog Challenge posted by JB on B/X Blackrazor. Titled “Challenge of the Frog Idol”, it is a 21-page digest-format PDF which is bit of a hex crawl with some railroad options built in (it comes equipped with a quest, but feel free to ignore it). Challenge of the Frog Idol is an adventure aimed towards clever Labyrinth Lord characters of levels 3-6. The encounters may be a bit rough (didn’t get much playtest time in on this, being that it was a throw-together for a challenge), and the treasures are fairly skimpy. And there’s a lot of room to add more to the setting and the encounters (the hexmap of the environs contains a few noted but undescribed locations, and there’s room for more). 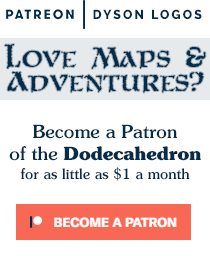 The whole thing can also lead to a megadungeon exploration game if that is your taste. Download the Challenge of the Frog Idol here! I had to throw together a few new maps for this, of course. So here they are in their… quick and dirtyness. 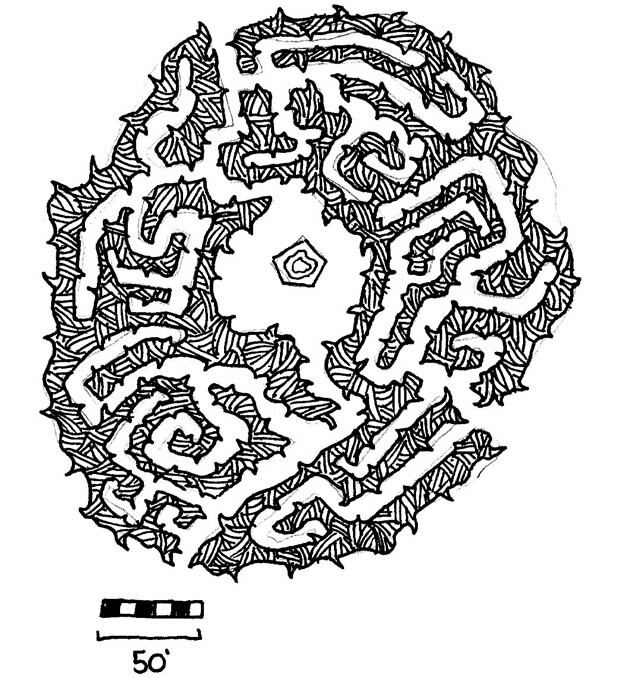 Unlike the vast majority of my maps, some of these (the hexmap and the labyrinth) were started with pencil sketches before being inked. And since I was in a hurry to get them together, I didn’t manage to get rid of all the pencil markings prior to scanning them. This hexmap was a lot of fun to draw. 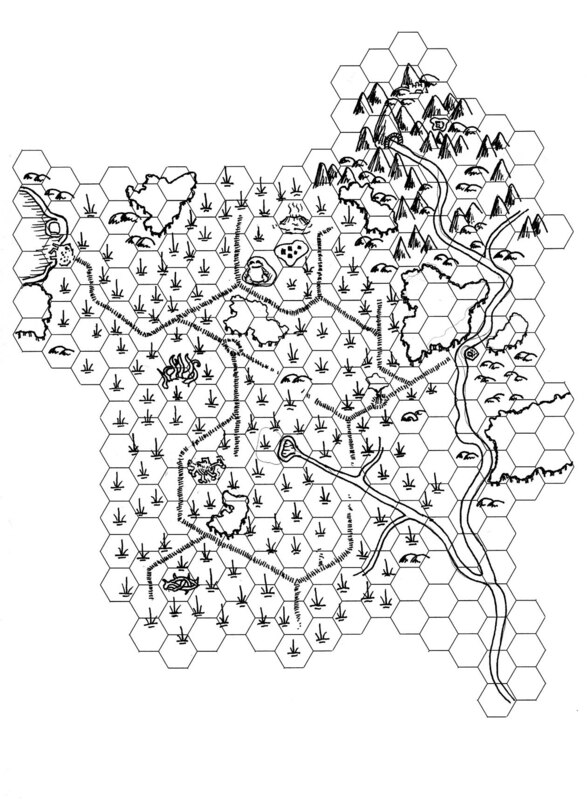 I didn’t end up sticking to the hexes for much except the causeways through the Black Mire. I pre-sketched the river, causeways and a couple of the forests before switching to ink. This little dungeon belongs to a necromancer in the adventure. I had fun with all the bones. This was drawn entirely freehand in ink on plain white paper. This one was fun, but in the end it embarrasses me. The scale is obviously off (there should either only be 5 boxes, or it should read 60 feet) and the pencil marks show quite clearly when you view it at a larger size. At the same time, I had a lot of fun with the cross-hatching in this one, as I made it curved and rounded since this is supposed to be a labyrinth of thorns. Downloaded, flicked through, and it looks great. I will store it away to challenge my players with once they reach that level. Excellent work. It’s not quite complete, but in part that is something I like about it. It ends up being quite open-ended with lots of room to improvise. As a footnote, it also handles the organizations the way I like to do so – it gives a brief description but no information on how they will react to the party. That’s up to how the party acts, how the DM feels, and so on. Basically it ends up as a toolbox for the DM to work with. From what I saw and the parts I read I think you set the bar awful high for the contest. I am a big fan of the Rumors section. More modules should include those…..but them most players don’t research they just run right into the dungeon/adventure willy-nilly. That’s part of why the adventure starts with the characters each getting one rumour from each table. Force their hands with the assumption that they did some basic research before showing up. I love rumours in adventures. I agree with Simon… That is showing off! Also, an all black cover? Trying to kill our printers too?? 😛 I’ll just have to wait to print it at work I guess. Looks like fun. Can’t wait to really give it a read through! It wasn’t meant to be showing off. Well not much anyways. It *really* inspired me (as you can probably tell). Top notch effort, very impressive. If I ever get my LL game off the ground I think I’ll have to find a way to tie it into/with Dyson’s Delve. Replace the ogres at the entrance to level 8 of Dyson’s Delve (room 1) with something the players will need a MacGuffin to get past. Maybe the stone giants like in area 1 of the Fortress on the Ironflow. Or just a magic door of some kind. And a hint that the Frog God has the solution and to seek out the Alabaster Oracle. BAM! Instant linkage. Wow, what a great entry. JB is going to have quite the task of who to choose. There have been a lot of good ones, but oyu really went all out. Multiple rumor tables and everything. This is awesome stuff! I detect a bit of elf racial targeting, of which i highly approve. Neat little easter eggs in there are great too (“The 12 foot tall idol resembles a mossy and overgrown dodecahedron”)! Great stuff Dyson, as always, you produce some really, really great stuff. In my campaign setting, the Kale (the elven name for themselves) are a mostly dead civilization more akin to the Melniboneans of the Elric saga than forest fairies. The fact that they are the only race that can multiclass as Fighter/Magic-User makes them feel superior to everyone else. Their empire was on a gradual decline, and finally fell about 500 years ago to one of their old servitor races – humanity. Humanity’s edge? They had gods on their side. The Kale cannot worship gods because their multiplanar empire had them in regular contact with them – they could not believe in their divinity (“Those aren’t GODS, they are just big and powerful alien things!”). Man, that is way to cool. Great job. That is really pushing me also to try harder with the stuff I write. My deepest respect! So… how does B/X handle swimming? With the tentacular monsters and all the island action, swimming is a big part of this campaign. Via lots of handwavium. I run a swamp as very difficult terrain so it’s not swimming so much as mucking about at 1/4 movement rate. That’s a good thought. I just notice that in I think all three instances of finishing up a mini-quest the party has a bulky object to get out across water, and whichever one is last, they contend with tentacular attack while dragging the heavy trophy. Awesome adventure. Will use it sometime in my weekend 4e campaign. Thank you. I am a big fan of your site. Keep up the great work. This is the seriously one of the best adventure modules I’ve ever seen. And i hate most modules, really. This is better than anything in Majestic WIlderlands (though, yeah, shorter, but still…) I am very impressed. thanks. I’ve totally d/l’d to read and investigate. I’ve started running my group through the Black Mire. I will be adapting it for Old School Hack with a different background and some more detail, sharing the finished product on my blog. For now, here are a couple adventure reports. Excellent adventure. Ran it about a third of the way in at the weekend using LL and 4 players. The players were a Cleric, Fighter, Dwarf and Thief. So far they have the Golden basket/boat which they stumbled on before being pointed to the Frog Idol/God. They now know they need to find the Zombie Lord who I have named “Nastrond” and the amber with the Rain god. The players suggested a name for the local Halfling Tobacco that you mention in Coruvon – we call it “Golden Shag”. It was great fun and I let them fill in a blank hex map as they explored the Mire in classic old-skool map style. Interestingly they bought small canoes and a boat and headed up the river branch to the Nixie pool first, so after a couple of swamp encounters they were talking with the Nixies and I gave them a hook to find their way North to the Frog Idol over land. They sadly lost their owning retainer (a female lvl1 mage) to an attack from 2 Giant Cat Fish which was a tough fight in the river, whilst fighting from their unstable canoes. I was wondering if you had any larger maps of the Kuln Citadel beyond the fortress section? Were you thinking that the Dwarven fortress has many levels beyond the initial fortress? 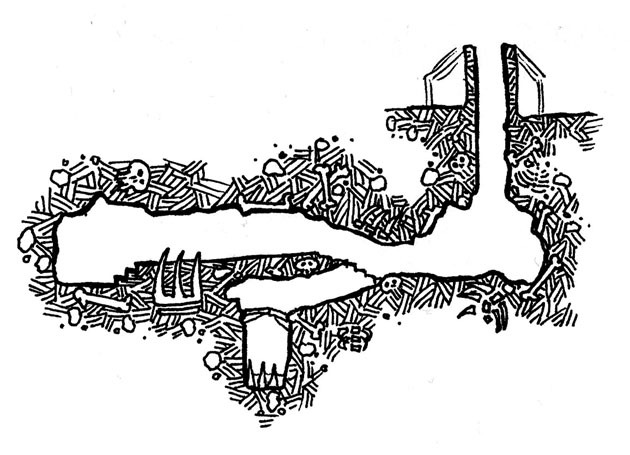 I bought your Dyson’s Delve PDF and had thought about using the actual main Dyson Delve multi level dungeon as an extension to the Dwarven citadel.